Just two years after watching the Little League® he once played for capture the Little League Baseball® World Series Championship title, Founder, Chairman, and CEO of Tulco and 2016 Maine-Endwell Little League sponsor, Thomas Tull, will be returning to Williamsport this summer to receive Little League’s highest honor, enshrinement into the Little League Hall of Excellence. Mr. Tull serves on the MIT School of Engineering Dean’s Advisory Council and the Carnegie Mellon University Board of Directors. He also sits on the boards of the Motion Picture Television Fund, the National Baseball Hall of Fame and Museum, the National Football Foundation, the Smithsonian Institution, and the Players Tribune. He is an Entrepreneur-in-Residence at Harvard Business School and part of the six-time Super Bowl champion Pittsburgh Steelers ownership group, where he also holds a board seat. Prior to his work with Tulco, Mr. Tull served as the Founder, CEO and Chairman of the Board for Legendary Entertainment where he produced and executive produced more than 40 films that together have realized grosses of more than $13 billion at the worldwide box office including Godzilla, Pacific Rim, 42, the Dark Knight trilogy, 300 and 300: Rise of an Empire, The Town, Inception, and Clash of the Titans. 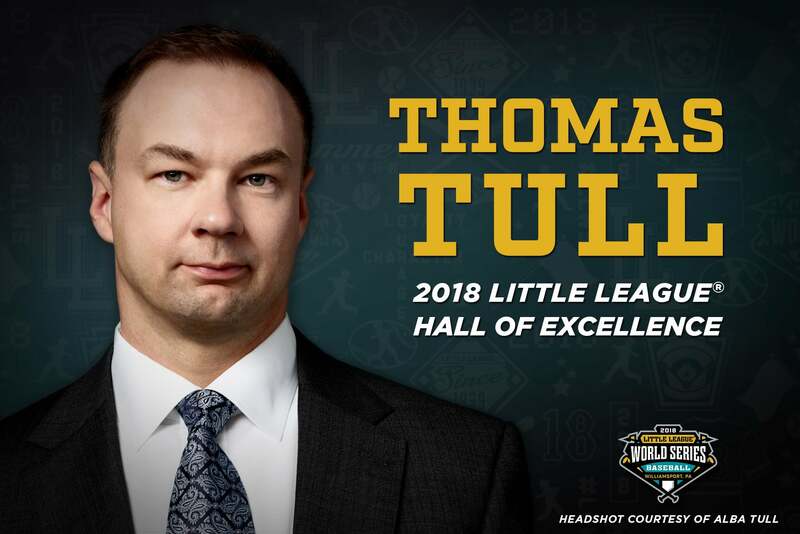 With his enshrinement ceremony set to take place prior to the 2018 Little League Baseball World Series Championship Game, scheduled to be played at 3 p.m. on Sunday, August 26, Mr. Tull becomes the 57th member of the Little League Hall of Excellence, joining Baseball Commissioner Rob Manfred as a 2018 enshrinee.